The Bel BioEthanol lamp by Morsø creates warmth and comfort on the terrace, the garden or in front of the door. The name was inspired by the Celtic fire God Bel, for whom a fire is lit to pay tribute to him on the Walpurgis night (Irish: Beltane). The Walpurgis night is also the beginning of the summer in Celtic mythology. The Bel lamp is made of a solid cast iron base with glass. The burner and lid are made of stainless steel and the glass was specially designed to withstand the heat of the flame. It runs on bioethanol. Image of Bel BioEthanol lamp by Morsø in black. The Bel lamp is made of a solid cast iron base with glass. 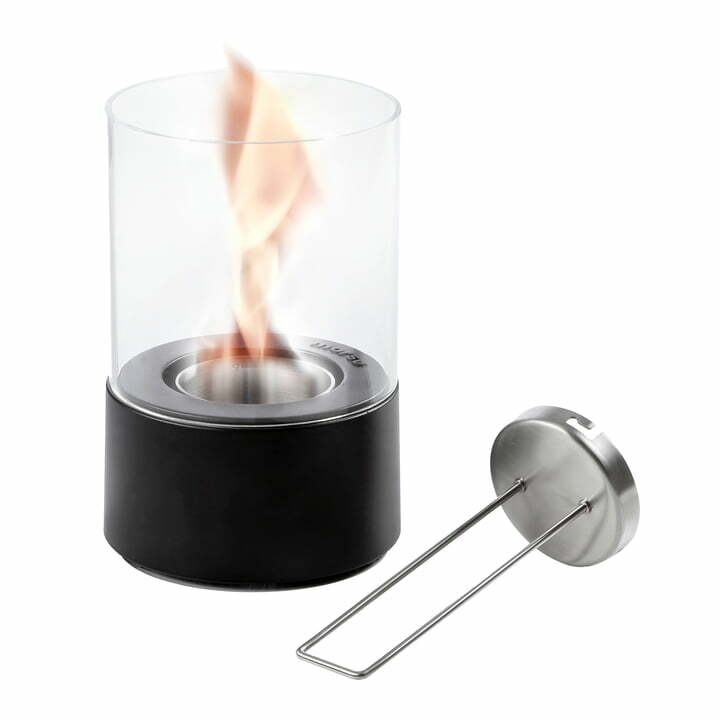 Burner and lid are made of stainless steel and the glass was specially designed to withstand the heat of the flame.